If you’re a bit stumped on how to spoil your significant other on Valentine’s Day, why not plan a surprise romantic getaway? As well as helping you earn some serious brownie points, going away for V-Day this year could actually work out cheaper than usual. Valentine’s Day 2019 falls on a Thursday – a great day of the week for snapping up cheap flights for a long weekend. So you can jet off to a swoon-worthy spot, impress your other half, and save some pennies all at the same time. It’d be rude not to, right? To give you a head start, we’ve rounded up the best city breaks for Valentine’s Day. Whether you want a busy few days of sight-seeing or a lazy weekend focussed on luxury dining, these five cities will make you feel weak at the knees. We know it’s a cliché, but let’s face it – New York is one of the most romantic cities in the world. 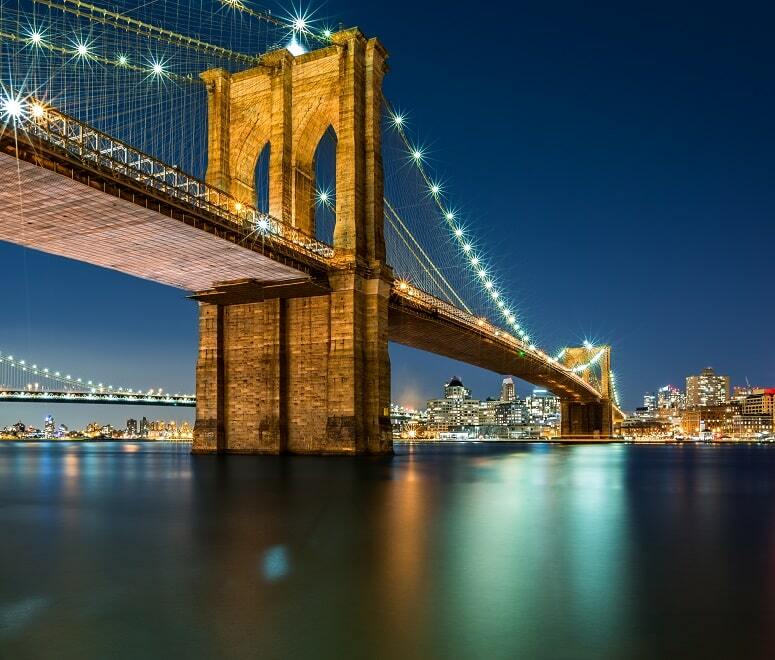 With its twinkling bridges, picturesque park and incredible restaurant scene, the Big Apple is a strong contender for Valentine’s Day. You can hop between famous landmarks like the Empire State Building and Brooklyn Bridge, or watch a dazzling show on Broadway. Plus, if you go in February, there’s a good chance you’ll get a dusting of snow to add some extra magic to your trip. Find cheap flights to New York. 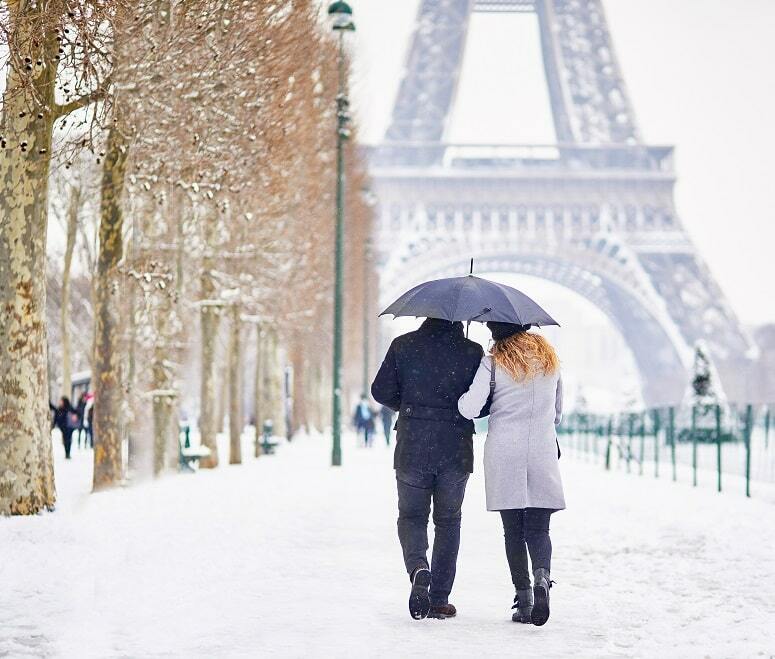 For a Valentine’s Day break closer to home, there’s nowhere better than the City of Love. You can go up the Eiffel Tower, visit Notre Dame and stroll down the Champs Elysees hand in hand. When your toes start to go numb – they will in February, trust us – simply pop into one of Paris’ world-renowned art galleries, or get comfy in a romantic French restaurant and enjoy a long lunch. It’s a tough life but, hey, someone’s got to do it. Search for cheap flights to Paris. If you’re a well-travelled couple, there’s a good chance you’ve already ticked off city breaks in Paris and New York. So, for Valentine’s Day, consider heading to Boston. With museums and galleries in every direction, artsy Boston has everything from orchestra concerts to contemporary exhibitions. It’s also one of the oldest cities in the USA, offering plenty of iconic sights and one-off experiences. You can walk the Freedom Trail, gawp at the prestigious Harvard University, and order cocktails in one of Boston’s many cosy bars. 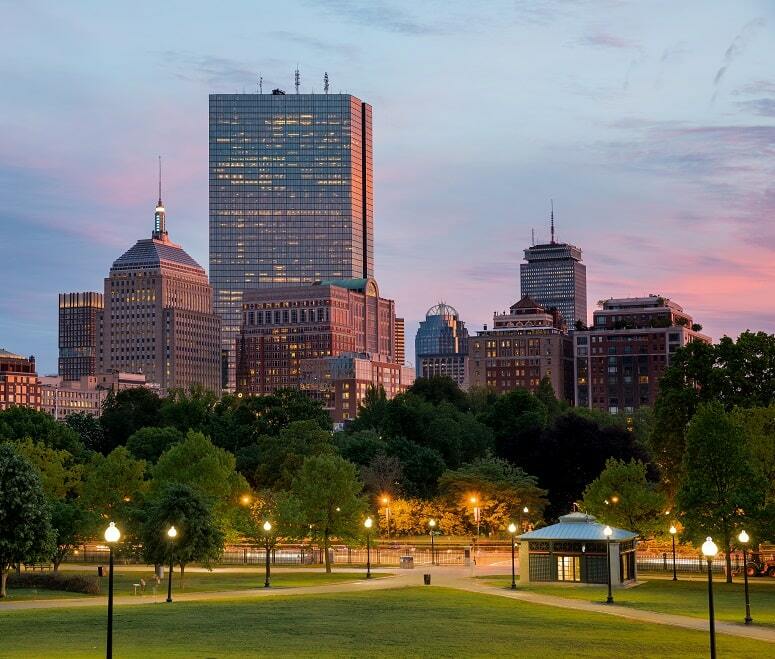 Compare flight prices for Boston. If you’re a couple who like the finer things in life, Dubai should definitely be on your list of city breaks. Jam-packed with five-star hotels, sleek beach clubs and decadent restaurants, this luxurious spot was practically designed for romantic getaways. 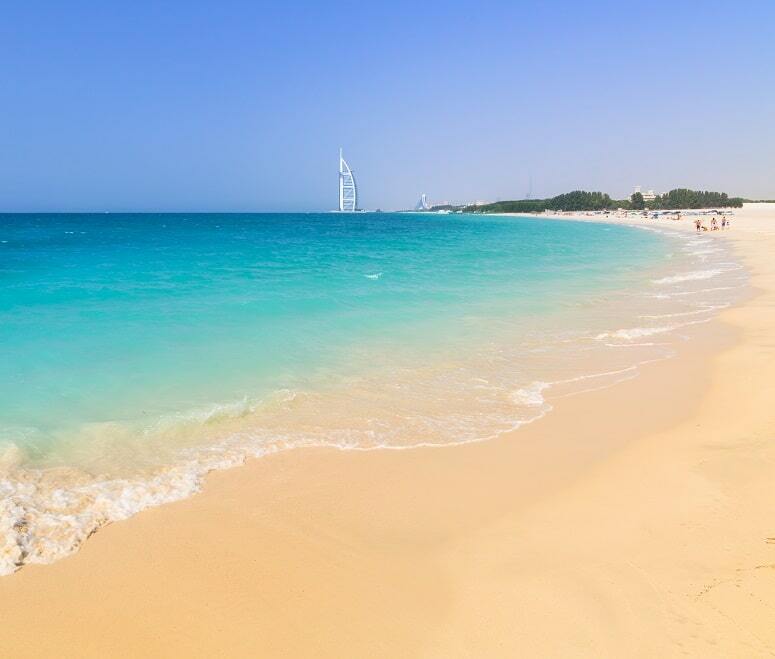 Dubai’s also a good option if you’re not a fan of the cold – in February, temperatures hover in the mid-to-high twenties. So you can swap your woollies for your beach gear, and return home with a healthy glow. If riding a gondola down the Grand Canal is on your bucket list, Valentine’s Day 2019 is the time to make that dream come true. You may think of Italy as being a summer destination but, like a lot of European cities, Venice has a certain charm in winter. The smaller crowds and shorter queues mean you can actually see it, without jostling for space. Browse the glittering shops selling Venetian glass, sip hot espresso in St Mark’s Square, and slice into freshly-made pizza in a tucked-away restaurant. 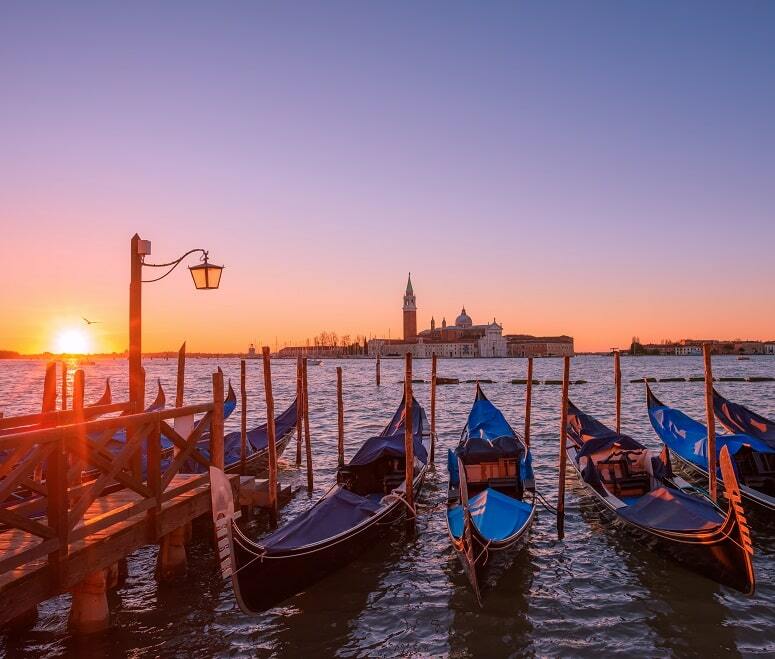 Look for Venice flight deals. Want to fall in love with somewhere new on Valentine’s Day? Search for cheap flights today. Or, take the romance up a notch and read about the 10 best honeymoon destinations for 2019.